The Central Government extended Upendra Kumar Sinha’s tenure as the Chairman of the Securities and Exchange Board of India (SEBI) for a year. U K Sinha continues to be eligible for the post as he would hit the upper age limit of 65 years only in March 2017. He would be the second-longest serving chief of SEBI in the history of capital market regulator after DR Mehta’s term of seven years (from 1995 to 2002). “The appointments committee of the cabinet has approved re-appointment of UK Sinha, as chairman of SEBI w.e.f 18.02.2016 up to 01.03.2017 or until further orders, whichever is earlier,” the government said in a release. 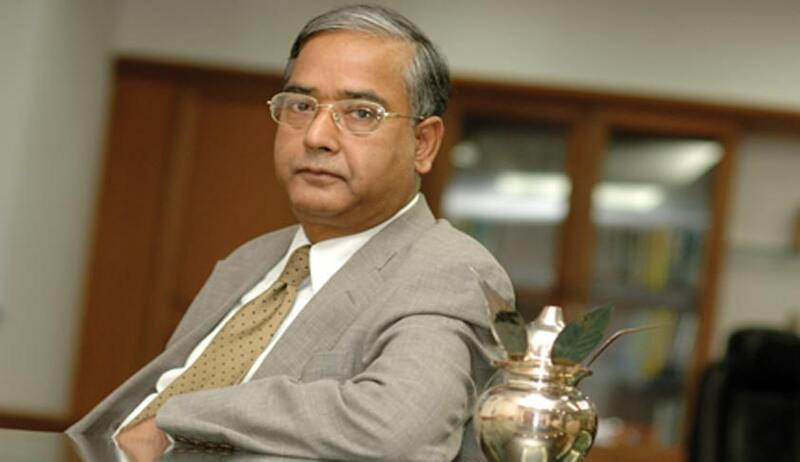 Sinha, a 1976 batch IAS officer of the Bihar cadre, assumed office as the chairman of SEBI on 18 February 2011. While Sinha was initially appointed for a three-year term, he was later given a two-year extension. Former FMC chairman Ramesh Abhishek, State Bank of India chairman Arundhati Bhattacharya and Thomas Mathew, additional secretary in Rashtrapati Bhavan, SEBI whole-time member Rajeev Kumar Agarwal, former disinvestment secretary Aradhana Johri, former Reserve Bank of India deputy governor Subir Gokarn were some of the contenders for the post of SEBI chairman this time. While Abhishek and Mathew had been shortlisted by a selection panel, SBI chief Bhattacharya, who had not applied for the job, was invited for the interview. After the government designated Abhishek as the new secretary of the Department of Industrial Policy and Promotion (DIPP) last week, it signalled that he was no longer in the running for the post of SEBI chief. Bhattacharya ruled herself out as a candidate last week at a press conference. The selection panel led by cabinet secretary P K Mishra submitted its recommendations to the Appointments Committee of Cabinet (ACC) that is led by Prime Minister Narendra Modi on Monday, with the majority backing the continuity of the present chairman. The selection panel comprised of Additional Principal Secretary to the Prime Minister, Economic Affairs Secretary and three other experts of repute. Sinha is seen as a safe pair of hands, having steered the markets and UTI out of the 2001 crisis as joint secretary heading finmin's capital markets division. He then moved to Mumbai to head UTI before taking over as SEBI chairman, where he will complete five years. The government also extended Finance Secretary Ratal Watal's term by two months till April-end, to ensure continuity in the budget process. It also appointed Girish Shankar as the new Heavy Industry Secretary.